Here's your opportunity to REALLY start enjoying retirement life. 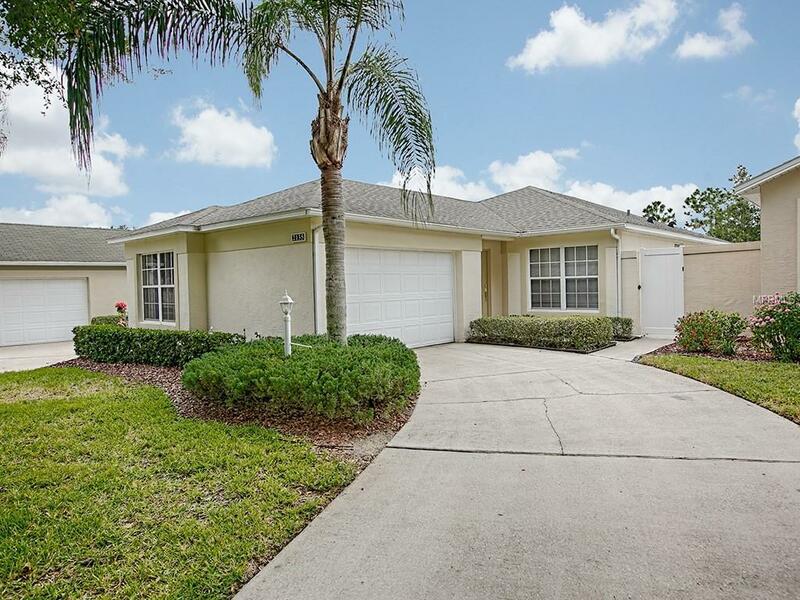 This charming Bristol model 2 bdrm, 2 bath home is located in the Whitehall section of the desirable 55+ Guard Gated, Resort Style, Golf Community of Kings Ridge which is nestled among the rolling hills & tranquil lakes of Clermont. The inviting, open floor plan offers a living room/dining room combo with sliding doors leading out to the peaceful, screened back porch & privacy fenced backyard where you can relax with your morning cup of coffee or enjoy the gentle evening breeze. The well laid out home has a split bedroom design with a large walk-in closet in the master suite. You'll have peace of mind knowing the Roof was replaced in 2016 & the AC in 2012. And let's not forget the convenience of being within minutes of shopping, dining, movies & medical facilities & less than an hour from the Orlando Airport & local attractions like Disney, Universal & Sea World. You could even hop in your golf cart & scoot up to the nearby Publix shopping plaza which includes a supermarket, hair & nail salons, banks, restaurants & more. You'll feel like royalty with all that the Kings Ridge lifestyle has to offer: 3 heated pools, multi-million dollar clubhouse, fitness center, tennis, shuffleboard, bingo, cards, & tons of clubs, classes & activities. It's all here ready & waiting for you.